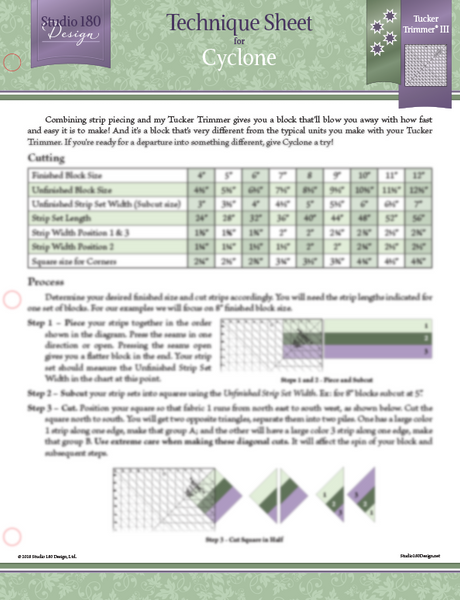 Your Cyclone Technique Sheet combines strip piecing and the Tucker Trimmer 3 to give you a block that'll blow you away. 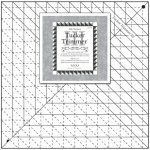 It's a block that's very different from the typical units you make with your Tucker Trimmer 3, and you'll be amazed at how quickly and easily it comes together. If you're ready for a departure into something different, give Cyclone a try!